Triumph Bancorp Inc. of Dallas has completed its purchase of First National Bank of Durango and new signs are already up. The $134.4 million sale of First National Bank of Durango, the town’s first bank which opened in 1882, to Triumph Bancorp Inc. of Dallas is now complete, and new TBK Bank signs are already up. 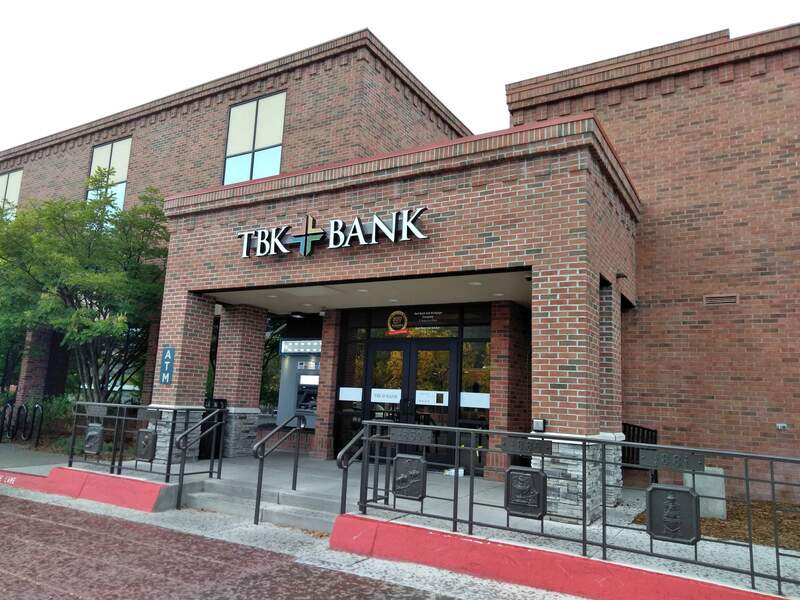 In Durango, the conversion to TBK’s computer system will occur Dec. 7 as First National Bank customers complete the transition to TBK, said Mark Daigle, now executive vice president and senior banking officer with TBK. Daigle was formerly president and CEO of First National Bank. “Other than the signs on the building, it’s the same smiling people inside,” he said. First Bancorp of Durango Inc., which operated First National Bank of Durango and Bank of New Mexico, had about $629 million of total assets, $271 million in loans and $560 million of deposits as of June 30. The acquisition was first announced in April, and last week TBK announced it had been completed. Triumph also announced completion of the purchase of Southern Colorado Corp., which operated Citizens Bank of Pagosa Springs. As of June 30, Southern Colorado Corp. had about $82 million of total assets, $36 million in loans and $74 million in deposits. Daigle said some layoffs occurred in Pagosa Springs and at the Bank of New Mexico, which have been fully integrated into TBK. No layoffs have yet occurred in Durango, but a few might be possible in December, he said. The number of layoffs will be mitigated because TBK also is opening its positions to employees of the purchased banks, Daigle said. First National Bank had 100 employees in La Plata County, and its 2017 payroll was $5.97 million, Daigle said. For customers, Daigle said the move to TBK offers more capabilities of banking and financial products at generally better fees and charges. Several new products are expected to be added with the merger, Daigle said, given TBK’s greater resources. Those additions are expected to include new commercial loan opportunities, more access to technological innovations and use of more ATMs. Besides its main office, TBK is now operating the former First National Bank of Durango branches in Bodo Industrial Park, Albertsons, Walmart and Bayfield. Both Daigle and Steve Short, chairman of the Durango bank’s board of directors, are expected to join Triumph Bancorp’s board of directors. TBK Bank has 61 branches and operates in Texas, Kansas, Iowa, Illinois and Colorado, and it will now enter New Mexico. Triumph trades on Nasdaq under the symbol TBK. It closed trading Monday at $43.15, up 30 cents for the day. It listed $3.79 billion in total assets, $3.20 billion in loans, $2.625 billion in deposits and $12.19 million in net income as of June 30.